Travis Wall. Photo by: Andrew Eccles/Oxygen Media. Dancers all across Australia are anticipating the tour of contemporary dance idol Travis Wall, thanks to Dance Informa and Energetiks. Wall is well known for his Emmy Award-winning work on So You Think You Can Dance, as well as his sell-out touring company, Shaping Sound. 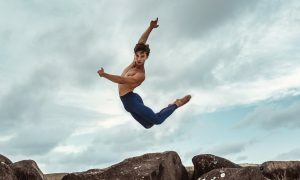 He is in such high demand that after several years of communication and planning, he is finally coming to Australia to attend VDF Warrnambool, a full day dance festival in country Victoria, and hold masterclasses in Sydney, at Roundhouse, University of NSW. The buzz is electric, and tickets are selling fast. Here, Wall talks with excitement about his upcoming visit. 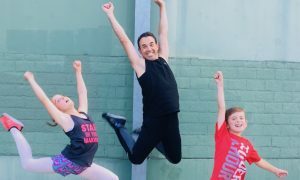 GET YOUR TICKETS TO DANCE WITH TRAVIS at www.victoriandancefestival.com. Travis, we are so excited to be bringing you to Australia. What are you most looking forward to? Travis Wall. Photo courtesy of Wall. What can dancers expect from your classes? Why do you take time out amongst your busy career to teach young dancers? 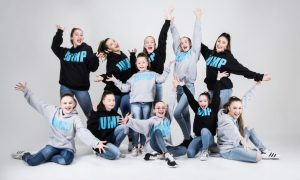 How do you want a dancer to walk into your class, and how do you want them to leave? We are running a competition for a lucky dancer to be your assistant while you are in Australia. What do you look for in an assistant? You have had such an amazing career so far. What are you most proud of? What advice do you have for budding young dancers and choreographers? 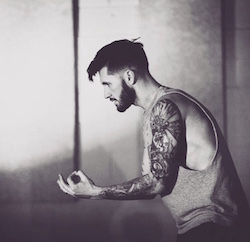 Don’t miss this opportunity to dance with Travis Wall. 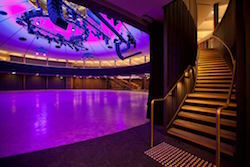 For tickets to VDF Warrnambool with Travis Wall, Yvette Lee, Paul Malek, Nadia Tornese and Elysia Baker, visit www.victoriandancefestival.com. For tickets to Travis Wall Masterclasses Sydney, visit www.victoriandancefestival.com/sydney. Travis Wall’s VDF Tour is sponsored by Dance Informa and Energetiks, with DanceSurance.